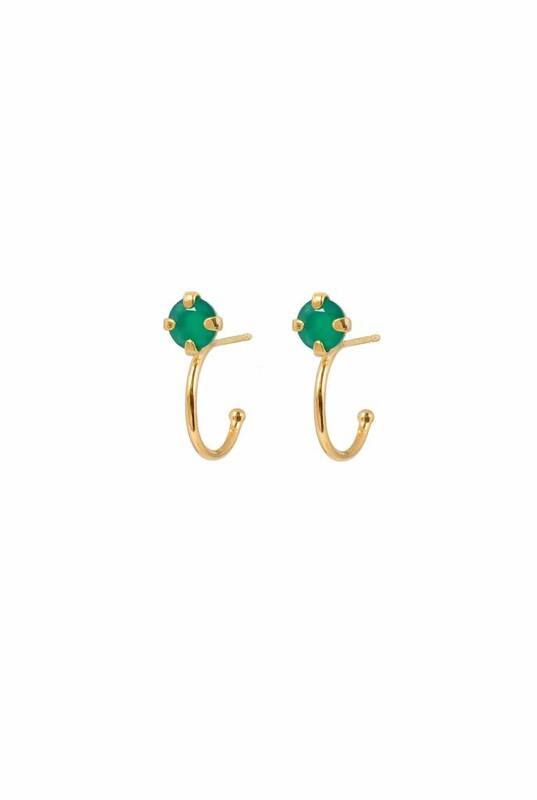 Subtle yet remarkable, these silver hoop earrings by Wouters & Hendrix with green Agate. Gives your outfit that special touch. Wouters & Hendrix is a jewelry brand from Antwerp. The designer duo makes finely crafted designs from silver, gold, and gems. Every piece has its own story.